While the hooves of dairy cows only need to be trimmed once per year, the process can be arduous due to the unaccommodating nature of the animal. Typically, cow hoof trimming entails the use of a 4 ½ angle grinder and a specially designed system which holds the cow’s legs in place during the procedure. 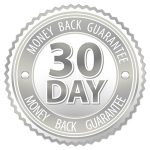 However, the Herd Boss offers an efficient and economical way to process large herds with relative ease. When you are trimming the hooves on a large number of cows, eventually the trimming implement will need sharpening, and the Herd Boss is no different. However, due to the ease in which the Herd Boss can be sharpened, there is no need to spend time sending the disc out to be sharpened, as you can do it yourself in a matter of minutes. Once the Herd Boss has been sharpened, it can typically trim the hooves of between 25-30 cows before it will need to be sharpened again. Trimming the hooves on a large number of cows can be very physically demanding, often wreaking havoc on the upper body, arms, and wrists. To counter this, the Herd Boss has been specially designed to cut on its side, rather than on its face, thus eliminating the painful chopping motion associated with other rotary tools. 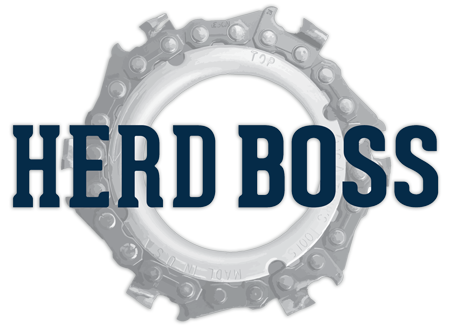 The Herd Boss utilizes a super strong tungsten carbide design that incorporates a 6-tooth chainsaw blade for easy trimming. This helps prevent the tool from grabbing or pulling away – a common problem with other rotary trimming tools. The unique chain disc design of the Herd Boss makes it so that it can smoothly trim even the toughest of hooves within minutes. One of the foremost advantages of the Herd Boss trimming disc is its exceptional, lightweight design. In fact, weighing in at only 5 ounces, the trimming disc is one of the most powerful and lightweight discs on the market. And while you may be concerned that the disc will not be hearty enough to withstand the rigors of the trimming process, you can rest assured that the Herd Boss is the toughest on the market. 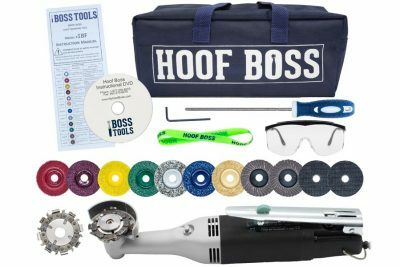 Looking For The Hoof Boss For Cows? 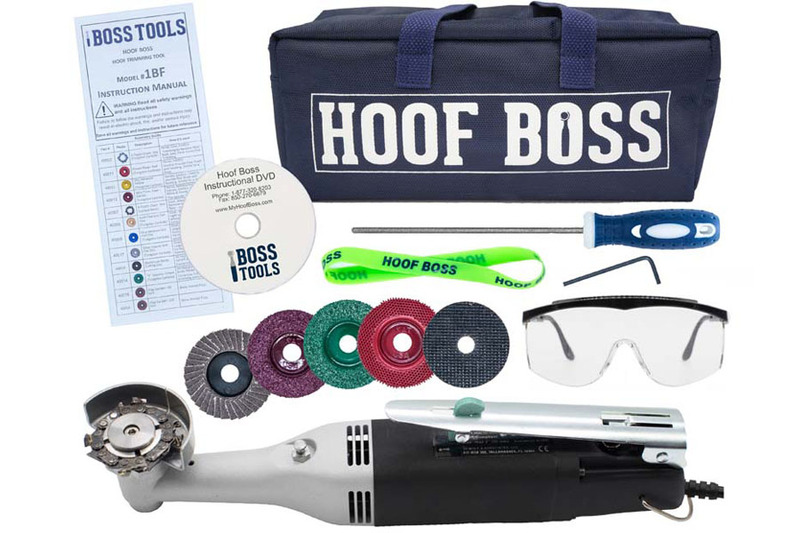 The HOOF BOSS is designed to perform intricate hoof procedures instead of high volume maintenance trimming. Weighing only 1.3 pounds, the HOOF BOSS is lightweight but powerful and can be used in the treatment of all kinds of laminitis.